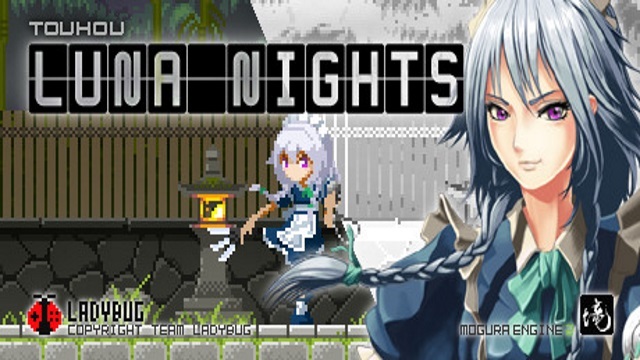 Touhou Luna Nights is a Metroidvania title set in the Touhou universe. This was attempted with Touhou Double Focus a while back. That game was fun but I felt like it was lacking in many areas. Luna Nights had the benefit of being developed by Team Ladybug. They are known for titles such as KonoSuba: God’s Blessing on this Wonderful World! Revival of Beldia and Shin Megami Tensei: Synchronicity Prologue. With this great pedigree, let’s see if this is that Touhou Metroidvania we’ve all been searching for. The story here is pretty basic, but entertaining enough to keep you playing. There’s even a sweet plot twist in here. Remilia Scarlet, mistress of the Scarlet Mansion, suddenly sends her maid Sakuya Izayoi into a parallel dimension. This one is similar to Gensokyo, but the Youkai here are very strange and she has lost the ability to control time. She soon finds a pocket watch to restore this ability and sets out to complete this challenge Remilia has devised for her. Mistress’ games just keep getting crazier and crazier! 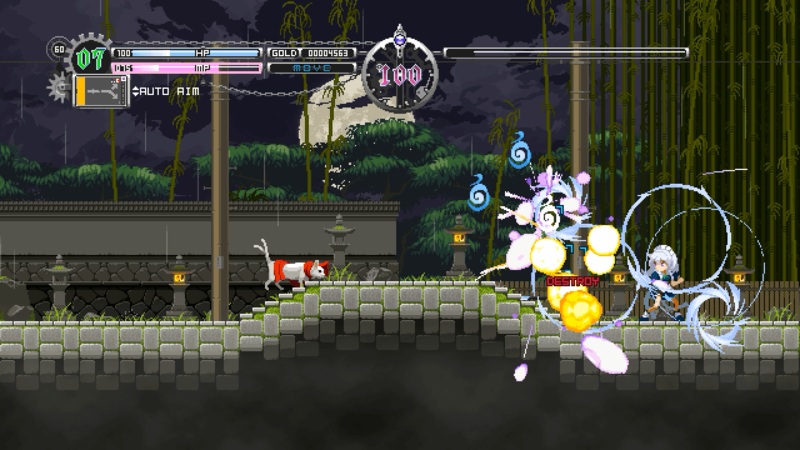 Graphically Touhou Luna Nights has some of the best sprite work I’ve seen in years. Everything looks simply amazing. I would call this a 16-bit game, but the amount of detail here is staggering. The enemy models look great, character models are detailed and even small details in the environments are well represented. This mostly has to do with the lighting, but on stages with windows you can see outside features scrolling by to give this world even more depth. On top of this, the animations are just as amazing as the sprites. Not only are there tons of animation frames for attacks, but everything runs just as smooth as butter. This team really knocked it out of the park and others should follow their example on how sprites and animations should be done. I am a huge fan of Touhou music in general, and I have to say these are some of the best chiptunes I’ve heard. Each song is well crafted and if you’re a fan of the series you will instantly be humming along. They should really sell this soundtrack on Steam. I’d buy it in a heartbeat. There is no voice acting here, and the sound effects are nicely done with everything sounding about how you would expect. That machine-like voice that comes on when when you graze an enemy for HP and the sound of a telephone when you save are some of the standouts. 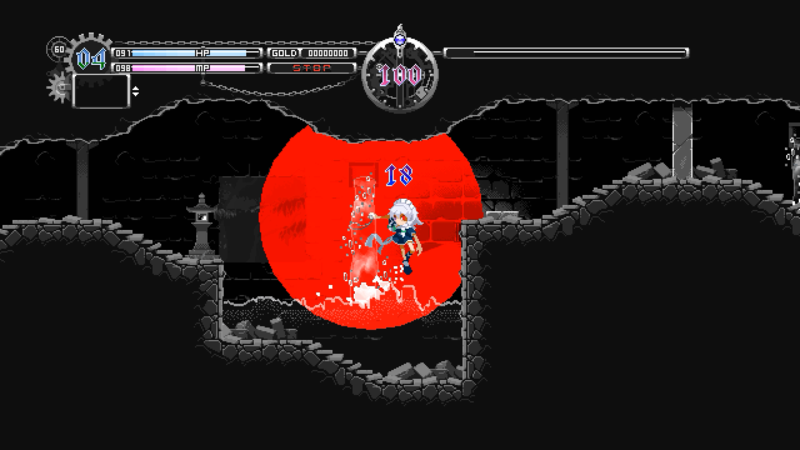 The game plays like your standard Metroidvania. Sakuya will gain EXP for defeating foes, and you will explore the castle using various abilities to solve puzzles while finding new skills and upgrades along the way. While the designers didn’t deviate from this formula that doesn’t mean they didn’t perfectly execute it. Sakuya’s ability to briefly stop time, along with the power of double jumps and slides, create a plethora of ways to use this altogether and this one will make you do this often. Throwing knives, then freezing time to use them as platforms is one of but many tricks you will have to use to guide your way through the castle. You will need to use every trick in your arsenal to defeat the bosses at the end of each castle section. Gaining some levels may help pad out your HP a bit, but using the skills and magic you’ve found on your journey is key to survival here. Bosses consist of the other residents of the Scarlet Devil Mansion. Meiling will be the first boss you encounter and while the sleepy guard is kind of a pushover, when you reach the mistress of the castle she will show you what true power is. Flandre is here as well. I love Flan but as usual she goes way too hard! All in all I spent about six hours with Touhou Luna Night and I had a blast. The game looks amazing and plays just as well as it looks. The soundtrack is top tier and they seriously need to put this on Steam for sale! The game will set you back a mere $17.99 and though some may find the playtime a little on the short side, this one is certainly about quality over quantity.